A few issues came up for me when I was reviewing the top senior dating sites. Some categories that I’ve reviewed in the past no longer seem very relevant to most seniors. I base my opinion on thousands of comments from readers, my own instincts having dated online for several years, and date coaching senior women. So rather than discuss the less relevant categories, I’ll discuss the five that are most important to most senior daters in hopes of helping them make more informed choices. In real estate there’s an expression, the five most important aspects of real estate are location, location, location, location, and location. Without a doubt, in considering senior dating sites, the number of profiles is the most, if not nearly the only important feature. My date coaching clients tell me that they burn through the online profiles quickly, in fact so much so that they are eager for new members to sign up, and that’s even on the most populated dating sites. The biggest complaint I routinely hear is that there aren’t enough men to view. And while statistically there are more women online than men, the numbers aren’t sufficiently skewed to make much difference. Match.com is number one in this category, and no other senior dating site comes close to their roster with the exception of Zoosk and eHarmony, and eHarmony isn’t a dating site members can cruise for potential dates on their own. Zoosk has other issues that make them a less than stellar pick, namely customer service. It’s not uncommon for members to run into problems and Zoosk offers little in the way of help and support. Nothing else matters for a senior dater if there aren’t a sufficient number of members to choose from. Match.com is the clear winner in this most important category and I highly recommend seniors consider them a first pick. I recommend Match.com to all of my date coaching clients, many of who complain about previous memberships on other sites that were lacking in numbers. I don’t believe mandatory personality tests make any sense at all. When I was dating, I considered eHarmony but gave up halfway through the questionnaire. And since none of my friends or clients has said they met their partner on eHarmony, or that the personality tests mattered, their personality test seems a moot point. But having said this I do feel dating sites should make it mandatory for members to write a minimum of a paragraph, or 200 words, to share enough information about themselves that other daters can make intelligent choices. None do this so far, and I urge them to do so because their members’ experiences will improve exponentially. Men in particular seem to think that being mysterious is attractive, but it’s men who suffer from this myopic attitude because most date-savvy women will skip past a profile with a photo, lots of “I’ll tell you later” boxes checked, and no personal story. When I dated I skipped past women’s profiles that were empty. I considered it lazy and a lack of real interest. Since nearly every dating site has made the tech aspect of online dating simple, and their sites are easy to navigate, seniors can count on any site for the simplicity factor. But this doesn’t mean that someone with no computer skills whatsoever will be able to date online simply by joining a dating site. While I’m not sure why posting a profile and photos is so challenging to senior daters, it seems to be nonetheless. My friends and clients frequently call me, particularly to get help posting photos. Perhaps all the dating sites might consider making this even more basic and elemental than it already is. Maybe someone should write a book, Posting Online Photos For Dummies, but until that book is available, the onus is on dating sites to provide easier steps to walk through. Match.com and Zoosk offer the most significant range of features, including safety and convenience. The ability to instant chat with someone, which both make fairly simple to accomplish is important for some people. I’m less enthusiastic about this one because it doesn’t allow much time for two people to peruse each other’s profiles, digest what they’ve read, and be prepared for even a text conversation. But we live in a world of instant gratification, and chatting is one such convenience. If daters are comfortable chatting with a stranger and hoping for the best then instant chatting works fine, but match.com offers a feature that’s even more worthwhile. They allow two daters to talk on the phone without either having to give out their phone number. In a dating world consumed by safety concerns this is a huge advancement in safety, particularly for women. Pricing is all over the board even on individual dating sites, and pricing changes so frequently on each dating site that it’s difficult to nail down any one site as the best value for the money at any given point in time. Most dating sites offer introductory pricing, which I highly recommend senior daters consider before making a 3 or 6 month commitment in order to get a sense of whether or not a long-term commitment makes sense for them. But pricing shouldn’t be a senior dater’s biggest consideration since a few dollars more or less to meet a life partner seems like a bargain anyway. But there is a financial issue that a few sites need to reconsider. Nothing angers a senior dater more than cancelling their membership on a site and thinking that by doing so they’ve stopped their monthly credit card charge, but continue to be charged nonetheless. A few sites seem to glibly ignore the pleas of their clients to cancel, particularly, Plenty of Fish, Professional Match, and EliteSingles. These sites make cancelling membership a nightmare, and the frustration and ill will they generate by continuing to charge a client’s credit card is unforgivable. This is a pricing issue that I’ve been aware of for nearly a decade and it’s time that the management of many dating sites wake up to their responsibilities. 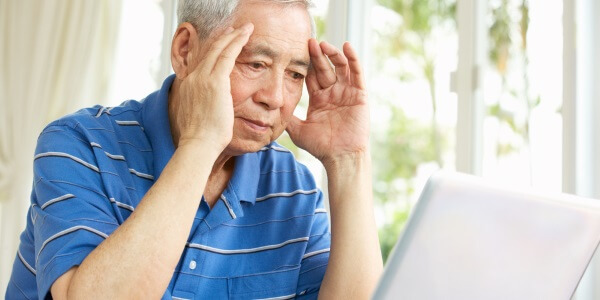 Seniors feel scammed when they get charged after cancelling, and if word of mouth of website reviews matter at all they should stop this practice. Having a client’s credit card number on file doesn’t give a website the right to charge cancelled accounts. Period. I’ve belonged to many dating sites, and in fact many of those in the Top 10 family, and without a doubt match.com is the cream that consistently rises to the top. I met my partner of three years online, so I’m a believer in online dating. It works.